You’ll probably agree when I say that keeping up with your blog is not an easy task. Generating great content is a challenge even to many individuals who have been blogging for quite long. If you’re a blogger, you understand the struggle of creating an awesome content. As Advanced Web Ranking bluntly articulates it “Blogging isn’t glamorous…it’s one of the most thankless jobs in the world.” It’s not enough that you create one awesome post; you need to keep up with blogging especially when your audience will demand you more. Reading provides fresh ideas and perspectives on things. This is why a good writer is also a good reader. Here’s the thing: Blog posts do not have to be in words. Words are just one of the medium of communication. Audios and videos are equally powerful too. As per Tech Crunch, “Facebook video today are reaching more than 3 billion views.” Having said that, you might also want to utilize this medium. You can start integrating visual contents on your blog such as pictures, infographics and videos. It will likely improve your engagement and boost marketing strategies. If your blog has a great readership, chances are you’re already receiving guest post propositions from other bloggers who found your site interesting to write for. On the other hand, you can simply invite bloggers to write for your blog. You can choose to categorize posts and have a particular page for guest posts. Letting guests contribute won’t only give you a break; it will also bring in fresh perspectives on your blog niche. Aside from that, it is also a chance to gain friendship from other bloggers and expand your network. Once a guest post went live, the contributor will likely share it to her social media channels. “If your guest blogger has a fan base, more than likely they’ll come along for the ride when his article is published on your blog. The result – more traffic for your blog, and more exposure for you and your business,” explains an article from bMighty2. Do you have a post that sits there for a length? Benefit from it again through repurposing. Repurposing means taking your published blog post and transforming it into other form such as an infographic, a video,or a recording. It is like stating the exact same thing except in a different medium. You may have a brilliant product to sell or a wonderful business mind. However, not every business is gifted with a “gifted writer.” Hiring a full-time copywriter can be expensive, yet outsourcing your content to an experienced content writer will save you time and money. With this, you no longer need to go through the tedious hiring process. Moreover, it relieves you from putting together a job offer package involving health insurance, paid vacation, health insurance and some more. Edwin Deponte is a motivational writer who is also passionate about Digital Marketing. He believes in others’ abilities and tends to bring out people’s hidden potentials through his words of inspirations and motivational articles. AdZis – Create unique product descriptions for your e-commerce business. Really helpful blog post. Thanks for sharing. I do not know what word to express gratitude to this article. Wow great post thanks for sharing this informative knowledge. i have also a post on same topic can you please visit it. Again thanks for sharing. Incredible and relevant post. I am also a blogger. 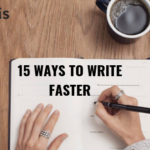 But these awesome tips are really working while writing a blog. Appreciate it for sharing your knowledge. Thanks for your sharing, I have asked myself how can keep my blog if I have no idea about content? Through your post I have good solutions for this problem. its really nice and helpful post for blogging, thanks for sharing this. Such a great post! Thank you so much for sharing this post! this is very nice and amazing artical. thank you for sharing this information with us. I read a very comprehensive article. This article will help a lot of people. This is the first time I see such a beautiful and understandable writing. I will do the information you wrote. I hope I will succeed. Thank you for the valuable information. Very Good Article, This blog is always been my first choice to read, Thanks For sharing with us. Really Great post and helpful. Very informative post, thanks for sharing it with us. If you are passionate about the blog and couldn’t spare out enough time, its good idea to outsource the work to freelancers, by this you will get your work done as well as your blog will get updated. Thanks. Thank you. 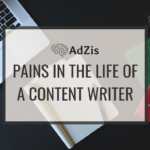 Please do check Adzis app for content writing here https://app.adzis.com. It will be useful for businesses like yours. I am looking for such an informative post for a long time. Thank you for this post. Thank you for sharing your expertise. This post is very helpful. It’s informative too! Very Nice Post, I learned a lot through it. Thanks for posting. It’s a fact that your blog posts are so unique and interesting and I enjoy a lot while reading your posts because you explained your post very deeply in a very easy and clear language. Amazing work keep it up. You are welcome. Keep reading and please do share this blog post on your social media timelines. We appreciate your help. Thank you. Please do share this blog post on your social media. Great informative article, keep this work going on.